After a long year packed with epic rivalries between the biggest names in esports racing, Project CARS Esports Season Three built to a thrilling climax at Gamescom, where we crowned the 2017 World Final Champions. The battle took place on the massive ESL Arena stage in front of a packed crowd and thousands watching online via Facebook and Twitch. The competitors for the World Final were the top 5 teams that qualified from the 2017 SMS-R Championship Series. These Pro Class teams competed in LMP2 machinery throughout the Summer, and shared the tracks with the grassroots Challenger Class of GT3 cars. SDL (sponsored by Logitech G) came into the World Final as the favourites for victory. So far they have been the leading team in Project CARS esports. SDL won titles in both the 2015 Driver Network Championship and the 2016 Logitech G Championship Series. In 2017, they clinched the SMS-R Championship in the final round of the season, to secure their third major title in three years. SoniK and Rotax remain the team leaders, however StorM has also risen to the top in 2017 and proven himself to be an extremely fast and tough competitor. 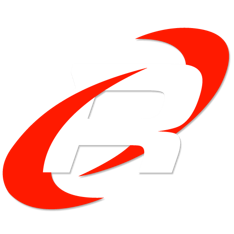 Team Redline (sponsored by Fanatec) are the world’s most successful sim-racing team. They joined the Project CARS esports scene in 2017, after signing two of the game’s fastest ever drivers; Mangator and Magic Michael. Both of whom are former members of SDL. Redline led the way for most of the 2017 SMS-R Championship, but were pipped to the post by SDL in the very last race of the season. They were be looking for revenge in the Gamescom World Final. eSports+Cars (sponsored by Greaves Motorsport) battled their way to third place in the SMS-R Championship, but were looking to move higher up the podium in the Gamescom World Final. Their team leader, DriverR1 remains a firm favourite with the fans, and is arguably the fastest individual driver in all of Project CARS esports. This recently saw him selected to compete in McLaren’s “World’s Fastest Gamer” competition. He needed some more support from his teammates though to put in a serious challenge for victory at Gamescom. VP Gaming (sponsored by Hauppauge) arrived in the SMS-R Championship as underdogs, but left with a growing reputation that they can mix it up with the big names. A fantastic start to the season saw them competing right at the front, although they dropped back a little as the top teams came into stronger form as the season progressed. Anything can happen though in a one-off event like the Gamescom World Final. BAM (sponsored by Thrustmaster) has one of the biggest fan followings in Project CARS eSports, but that didn't quite translate into success for most of 2017. After winning the 2016 NVIDIA Challenger Series, this year has been much tougher for BAM. Superstar driver, Khaki missed a large part of the season with a broken leg, but he came back into top form at just the right time heading into the Gamescom World Final. Tomikillos has also been steadily improving his pace throughout the year. They scraped into the World Final at the very last opportunity, pipping rivals, TX3 to the final place in the very last round of the SMS-R Championship. The final got underway in the safe hands of our official shoutcasters, Rene "GRunner" Butler and Luke "Actrollvision" Crane. For most the drivers, this was a totally new racing environment. To start with, everyone was using the same hardware setup of a Playseat equipped with a Fanatec wheel and pedals. But more importantly, they were racing in front of a huge crowd in the arena. In the early stages of the final the key would be to see who could adapt to the pressures of this environment quickly, to calm their nerves and start to push on the track. Oschersleben was the first track for the World Final. A favourite with the fans (and with Grunner), this is one of the most technically demanding circuits in Project CARS. A phenomenally tight German course, where getting into a rhythm is key for all of the drivers to be able to maintain their pace from corner-to-corner, as there are very few straights here. ​Sticking with the German theme of Gamescom, Race 2 went to the Hockenheim GP circuit. A track that is familiar to all of the drivers, and presents very different challenges to Oschersleben. Hockenheim is all about corner exits, and making sure that you carry momentum onto the straights. Especially the very long back straight which ends in an extremely tight hairpin, which is easily the best passing opportunity on the circuit as well. The LMP2 cars generate amazing slipstreaming speed, so it was crucial that the drivers did their best to take advantage of this around Hockenheim. Magic Michael continued his good Qualifying form in Race 2, to stick his LMP2 car onto pole position, ahead of Khaki for BAM in P2, and DriverR1 for eSports+Cars in 3rd. The SDL drivers could only manage 5th and 6th in Qualifying for Race 2, as they sought to rediscover the form that they had hoped to carry into the World Final after their victory in the SMS-R Championship Series. In a chaotic start to the race, SDL's Rotax made his way all the way to the front of the pack, while pole-sitter Magic Michael fell back to 5th. Khaki soon fought his way past Rotax though and into the lead for BAM, but his teammate Tomikillos was struggling towards the back of the field and would need to make up some places to keep their hopes alive in the points standings. Khaki took the win for BAM in Race 2, and Tomikillos eventually picked up some decent points after fighting back up to 8th place. Rotax came 2nd for SDL, while Magic Michael returned to 3rd for Team Redline after a difficult start to the race. Heading into the last race of the World Final, BAM were leading the standings on 62 points, ahead of Team Redline on 44, and SDL on 42. We left Germany behind for Race 3, and took the drivers to Barcelona's Circuit de Catalunya to decide which team would win the 2017 Project CARS World Championship. Like Hockenheim, Catalunya has some long straights that the drivers had to optimise, but it also has some incredibly fast, sweeping blind corners to keep them on their toes. Following another car in the "dirty air" can be tricky at this track, but if you can pull it off, there are some great overtaking opportunities. Especially into turn 1, and into the hairpin at the end of the back straight. ​BAM seemed to struggle initially in Qualifying for Race 3, but Khaki rescued the session for the team late on, and put himself 3rd on the grid. StorM took pole though for SDL, with Magic Michael showing great consistency to take 2nd place. He never started a race outside of the first row of the grid throughout the World Final. With so much at stake in the last race, it was a hectic fight throughout the field, with cars often running 2 and even 3 wide as the drivers desperately tried to stamp their authority on the action and take as many points as possible for their team. In the early stages of the race, the top 3 from qualifying did not change, and things were looking good for BAM. They may not have been leading the race, but their two drivers were showing the closest pace of any of the teams in the field, as they held 3rd and 6th, as they looked to consolidate their points lead. That was the way the result stayed in Race 3, and it was enough to give BAM Thrustmaster an amazing victory in the 2017 Project CARS World Championship. 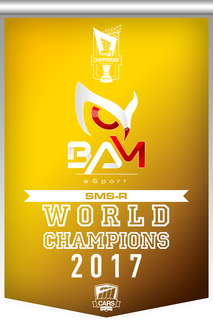 BAM only just scraped into the World Final in the final round of the SMS-R Championship Series, but since then their practice has paid off, and they came into form at exactly the right time, to take a great win in the World Final.